Videos & Audio section, use the Scroll bar. Click right corner for MORE VIDEOS sections. What the Elect are Here For. Be patient. Things get worse before they get better. To watch the rest of the Series, click---> Part 2.. & 3. 2. Mark (not an apostle,but one of the first missionaries) Died in Alexandria, Egypt , after being dragged by Horses through the streets until he was dead. 3. Luke ( not an apostle, but was Paul's doctor) Was hanged in Greece as a result of his tremendous Preaching to the lost. 6. James The leader of the church in Jerusalem , was thrown over a hundred feet down from the southeast pinnacle of the Temple when he refused to deny his faith in Christ. When they discovered that he survived the fall, his enemies beat James to death with a fuller's club. * This was the same pinnacle where Satan had taken Jesus during the Temptation. 7. James the Son of Zebedee was a fisherman by trade when Jesus Called him to a lifetime of ministry. As a strong leader of the church, James was ultimately beheaded at Jerusalem. The Roman officer who guarded James watched amazed as James defended his faith at his trial. Later, the officer Walked beside James to the place of execution. Overcome by conviction, he declared his new faith to the judge and Knelt beside James to accept beheading as a Christian. 8. Bartholomew Also known as Nathaniel Was a missionary to Asia. He witnessed for our Lord in present day Turkey. Bartholomew was martyred for his preaching in Armenia where he was flayed to death by a whip. 9. Andrew Was crucified on an x-shaped cross in Patras, Greece. After being whipped severely by seven soldiers they tied his body to the cross with cords to prolong his agony. His followers reported that, when he was led toward the cross, Andrew saluted it in these words: 'I have long desired and expected this happy hour. The cross has been consecrated by the body of Christ hanging on it.' He continued to preach to his tormentors For two days until he expired. 13. Paul Was tortured and then beheaded by the evil Emperor Nero at Rome in A.D. 67. Paul endured a lengthy imprisonment, which allowed him to write his many epistles to the churches he had formed throughout the Roman Empire. These letters, which taught many of the foundational Doctrines of Christianity, form a large portion of the New Testament. 14. Simon the Zealot Simon was traditionally martyred by being sawn in half. Perhaps this is a reminder to us that our sufferings here are indeed minor compared to the intense persecution and cold cruelty faced by the apostles and disciples during their times For the sake of the Faith. And ye shall be hated of all men for my name's sake: But he that endureth to the end shall be saved. Pass on to encourage other Christians. 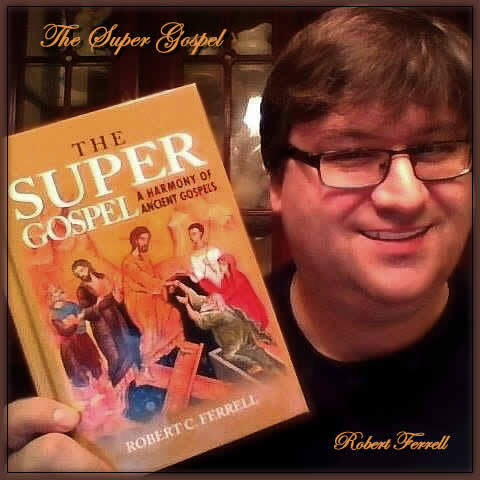 There are a great many references to apocryphal books throughout the Old and New Testaments. The only thing that really separates me from the average Christian is my willingness to side with those who wrote the Bible against those who discount their words. If Jude calls Enoch the Seventh from Adam, that means he believes the book is Pre-Flood in origin. Scholars and Theologians, however, tend to disagree, thereby taking a position which is at variance with Jude's. James 4:5 quotes a passage outside of the New Testament AS SCRIPTURE to his readers. This means that James held books outside of the Old Testament as Scripture. Scholars and Theologians, however, tend to discount his testimony. Paul borrows the famous "Armor of God" illustration of Ephesians 6 from the Apocryphal Wisdom of Solomon Chapter 5. There are dozens more. The point is, it clearly shows the NT writers did not believe as the Church does about these books. I have merely acknowledged these facts, whereas Traditional Christianity avoids them. The term Apocrypha is used with various meanings, including "hidden", "esoteric", "spurious", "of questionable authenticity", ancient Chinese "revealed texts and objects" and "Christian texts that are not canonical". The general term is usually applied to the books that the Protestant Christian Church considered useful but not divinely inspired. As such, it is misleading in this sense to refer to the Gospel according to the Hebrews or Gnostic writings as apocryphal, because they would not be classified in the same category by orthodox believers: they would be classified as a heretical subset of antilegomenae, to distinguish them from now-canonical ancient antilegomenae such as 2 Peter, 3 John and the Revelation of John, and non-canonical but non-heretical books which were quoted by the Early Fathers such as the pseudepigraphic Epistle of Barnabas, the Didache, or The Shepherd of Hermas. The gnostic writings are generally not accorded any status, not even a negative one: they are ignored, as they are incompatible with the accepted canon prima facie. Non-canonical books are texts of uncertain authenticity, or writings where the work is seriously questioned. Given that different denominations have different beliefs about what constitutes canonical scripture, there are several versions of the apocrypha. During 16th-century controversies about the biblical canon, the word acquired a negative connotation, and has become a synonym for "spurious" or "false". This usage usually involves fictitious or legendary accounts that are plausible enough to be commonly considered true. YouTube User InHisWord2 also has Apocryphal audio books free for your listening.